KINGS MOUNTAIN — Authorities in North Carolina arrested a man wanted in connection with an October 2014 shooting that killed a St. Thomas man and left one woman injured. Cymari Fredericks, 21, was arrested by Kings Mountain, N.C., police on Saturday in Kings Mountain. Fredericks faced charges of first-degree murder; aiding and abetting; assault in the first degree; reckless endangerment; unauthorized use of a firearm during a violent crime; and brandishing a weapon, according to an arrest warrant issued Aug. 31 by V.I. Superior Court Judge Denise Francois. 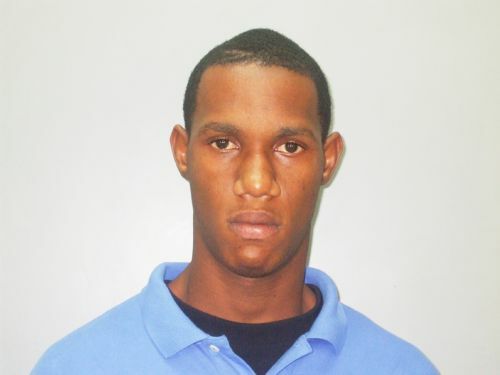 Fredericks is wanted in connection for a shooting that took place in October 19, 2014 at the Blitz Night Club for the murder of Shacoi “Spitz” Benjamin. A warrant was issued on August 31, 2016 by a St. Thomas superior Court Judge; Fredericks, was residing in North Carolina where his landlord found out he was wanted for murder and reported to the police. The North Carolina police department ran his name and confirmed the same and he was detained, VIPD spokesman Glen Dratte told the Virgin Islands Free Press today. Benjamin himself was accused of a non-fatal shooting and robbery at Michael Kirwan Terrace that took place Nov. 8, 2011, according to police records. The Virgin Islands police Department will continue to bring criminals to justice locally and nationally through NCIC (National Crime Information Center), and with the continued support of the community. Fredericks is being held without bail and was remanded to the Gaston County Jail, North Carolina. The Criminal Investigation Bureau and the Homicide Task force are actively moving on all cases and requesting your assistance in solving crime in the territory as the VIPD continues to make more arrest curbing crime, police said. Call the Criminal Investigation bureau on St Croix (340) 778-2211 the Homicide Task Force on St. Thomas (340) 774-2211 Crime Stoppers 1800-222-TIPS or 911.